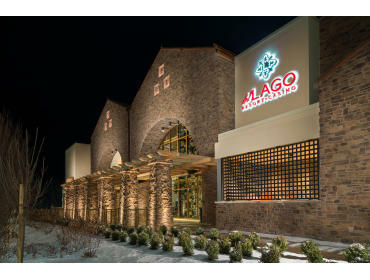 Stay at del Lago’s brand new luxury hotel and relax with our getaway package. Enjoy daily full breakfast for two in our Sociale Café and complimentary access to our luxury spa amenities. This package includes our ultimate couple’s experiences; dinner for two in our celebrity chef restaurant, Portico by Fabio Viviani, and a 50-minute couples massage at Spa del Lago. Gratuities for breakfast, dinner and the couples massage are all included in your package price (Portico is a 3-course meal plus one shared side). Package requires a two-night stay.